One of the stunning photos taken. 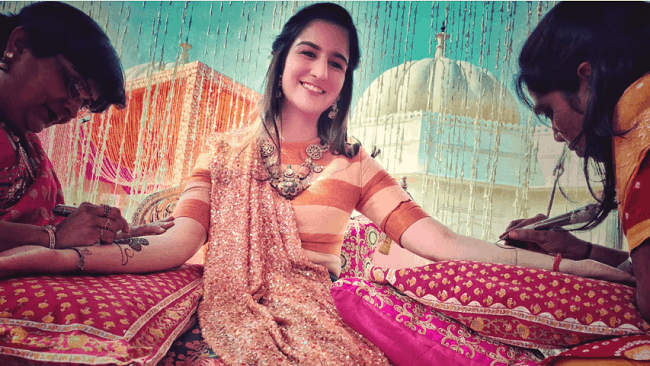 Award-winning Israeli photographer Sephi Bergerson recently shot an Indian wedding in Udaipur using just his iPhone 6s Plus — and the results are spectacular! In an accompanying video, Bergerson describes the way that using an iPhone has changed his photography. While he notes that it ultimately still comes down to the skill of the photographer (which is presumably why I’m yet to pick up any photography awards despite my many iPhone snaps), it’s fascinating to hear him discuss his craft. This isn’t the first time iPhones have been used by professional photographers to achieve stunning results. French photographer François Dourlen regularly uses his iPhone to add subversive, whimsical elements to his photos — to considerable Instagram acclaim. Pete Souza, the Chief Official White House Photographer, also uses an iPhone to chronicle life in the Presidential home — despite Obama being banned from using an iPhone himself. Hey, with Apple reportedly releasing an iPhone 7 Plus variant specifically aimed at photographers, it seems things are only going to get better from here!